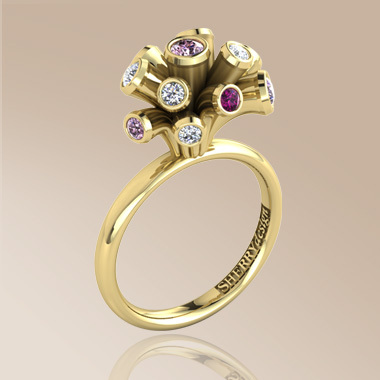 From our Medici Collection: This is one of our Medici range rings. 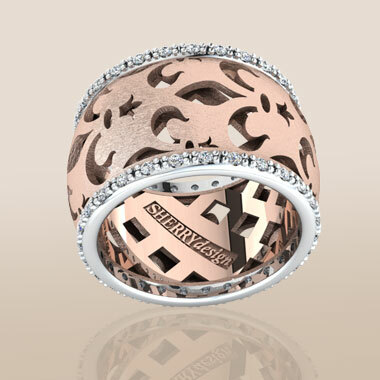 Shown here in 9ct rose gold and set around each edge with diamonds. These rings can be made to order, from a range of different choices. Please contact us for further information. 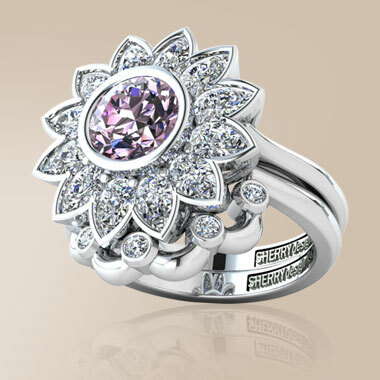 Medici ring, from our Collection: This is one of our Medici Range rings. 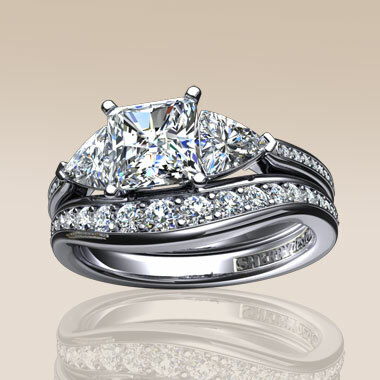 Shown here in 9ct rose gold it is set around each edge with diamonds. 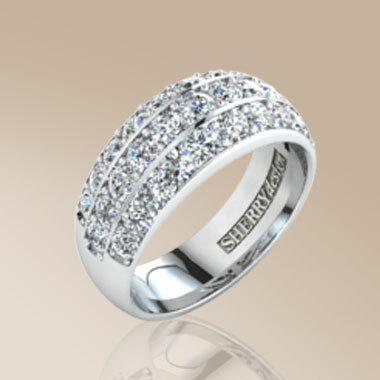 The designs are all based around wide band rings, with a fine row of brilliant cut diamonds at top and bottom. They either have a Fleur De Lys pierced out of a wide band in the negative, or a positive Fleur de Lys emblem circulating around the band. These rings can be made to order, from a range of different choices. Please contact us for further information.